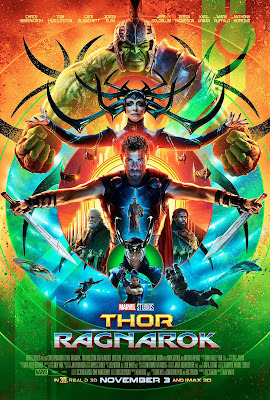 Not a simple feat, but kudos to director Taika Waititi for bringing us not only the best film of the Thor franchise but also one of the best entry into the Marvel Cinematic Universe. Thor: Ragnorak was a superhero space/fantasy that effectively weaved the current wave of 80s nostalgia, from the homage to the old school Star Wars trilogy to the retro electronica and cyberpunk synthesiser beats, into the current fabric of technology-enabled, explosion of colours, sounds and CGI effects. It was not only a rollickingly exciting and fun ride, but it was also downright funny with many laugh out loud moments and excellent comedic beats by everybody in the cast. Perhaps, the weakest part of the film was the plot, and not surprisingly, the villain. 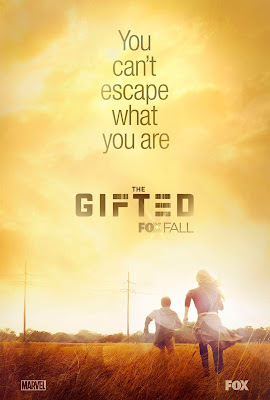 The basic storyline was thin, basic and stretched out to fill the spectacle, but at least in this case, the fillers more than made it up to distract from the A-plot. If nothing else, this was a singularly stunning, breathtakingly gorgeous, absolutely beautiful piece of film. 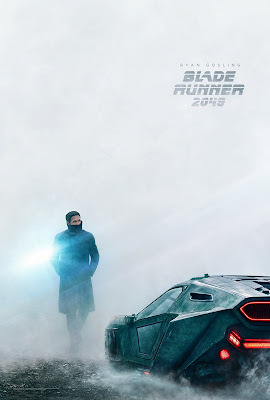 Just give Roger Deakins his Oscar now! As for Dennis Villeneuve, the man is now five for five since his 2010 breakout film Prisoners, and he will surely be in the running for Best Director again this year. His film in itself - prior viewing of the 1982 original not necessary, but does inform the experience - was a surprisingly simple, yet layered noir/science fiction story that was effectively told despite its length (163 minutes) and also, ironically, satisfyingly unresolved. Ryan Gosling stood out and may get a nod but he is in danger of not breaking out of his comfort zone. The IMAX experience was really worth it here. Not only as a canvas for Deakin's sumptuous cinematography, but also for the excellent sound design and mixing. So far, only this film, Dunkirk, Mad Max: Fury Road pioneer Avatar has really, properly utilised the capabilities of IMAX. Pilot: A high-concept supernatural/religious comedy that feels like a touch of Joan of Arcadia meets Touched by an Angel and mixed in with a sprinkling of the cookiness of Wonderfalls. 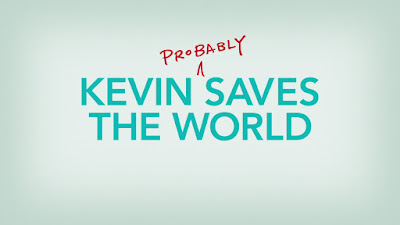 Nonetheless, Jason Ritter makes an affable doofus and it is easy to root for him. The pilot starts of slow, but the final act was when it really came together, once all the heavy exposition dump and character introduction is through. Even the initially annoying teenage niece was partially redeemed towards the end. JoAnna Garcia Swisher and Ritter has great chemistry together and siblings, and hopefully that will get explored more like when Ritter was back on Parenthood. Kimberly Hebert Gregory needs to be more than the sassy "warrior of god" from paradise. Ideally, this story would do well more as a serialised series rather than a save-a-soul-a-week schtick, and hopefully some sort of darkness/edge can creep in to the otherwise bland/typical/feel-good story. Pilot: A charming sitcom with a winning cast that exudes chemistry. The pace is snappy and the jokes, although not high-brow, is at least not low-brow and is consistent. 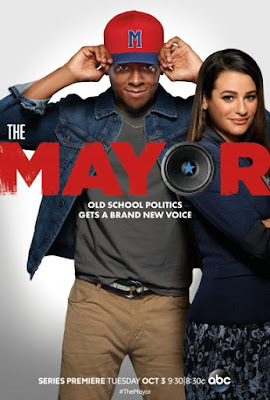 Led by a charismatic Brandon Michael Hall, with a perfectly cast Yvette Nicole Brown and Lea Michele in a role that is less campy but at least allow her to flex her underrated comedic chops, this easy comedy is winsome and a welcomed distraction to real-life politics. Shout out to Bernard David Jones and Marcel Spears as Hall's best mates who round out this funny ensemble. Pilot: Well, this definitely ain't Legion, but Bryan Singer's directing - within the confines of a broadcast's budget - did help to elevate the action sequences and competently establish the world the show was built in and the central narrative. The CGI effects were good enough to sell the mutant powers, but ultimately, The Gifted lacked originality and save Amy Acker, most of the other cast members were not as strong in their role. Stephen Moyer is definitely not a vampire, and hopefully his storyline will afford him the chance to flex some acting muscles. Acker has the innate talent to hide her Illyria under her Fred no matter what show she is on, and she will be their greatest assets. The two kids - meh! The other mutants - interesting, good racial mix, but boring. Hopefully with the exposition-heavy pilot out of the way, the script and the banter can improve. Mutants-in-pursuit need not always have to be dreary. Again, see Legion. You know a show is in trouble when the best thing about it is the sets and production design, and the best character is a fully CGI, oversized, teleporting bulldog that does not speak and spent half of the premiere asleep. 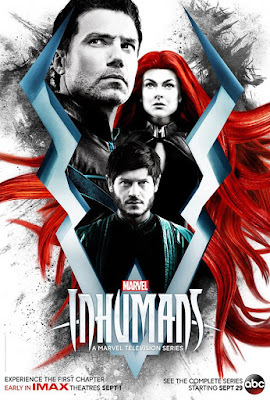 It is hard to believe that Marvel actually allowed this to premiere on IMAX last month, and also allowed Scott Buck to create and run a show which after 2 episodes looks poised to be worse than Netflix's Iron Fist (which - in the end - was not too bad).